2008.11.09 (Sun) - Slept in, missed church. Hung out, still dealing with recovering from my virus issues and don't have PhotoShop re-installed. As a result I could do no real photo processing today. Some minor contrast, hue, brightness using Windows Photo Gallery. 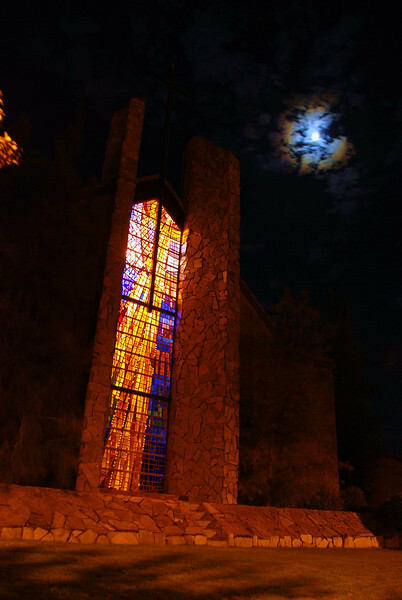 We were on the way home for the evening and spotted the lights on at this Presbyterian church near our home and had the camera/tripod. I shot RAW + JPEG so maybe later I will replace this photo with a better copy after getting PS re-installed.